The use of the word “klimaatneutraal” has become very popular this year. 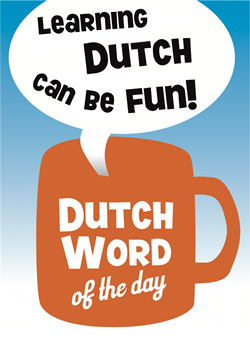 In fact, it has become so popular in the Dutch language that it has been nominated for “Woord van het jaar 2007” (Word of the year 2007). The term “klimaatneutraal” is used to qualify products and organizations that do not have a negative impact on our climate by not producing gases that cause global warming, such as CO2, or by compensating these gases, for example by planting trees. “Klimaatneutraal” is composed of “klimaat” and “neutraal”, which translates to “climate/clime” and “neutral” respectively. – “Broeikaseffect”: greenhouse effect, global warming.